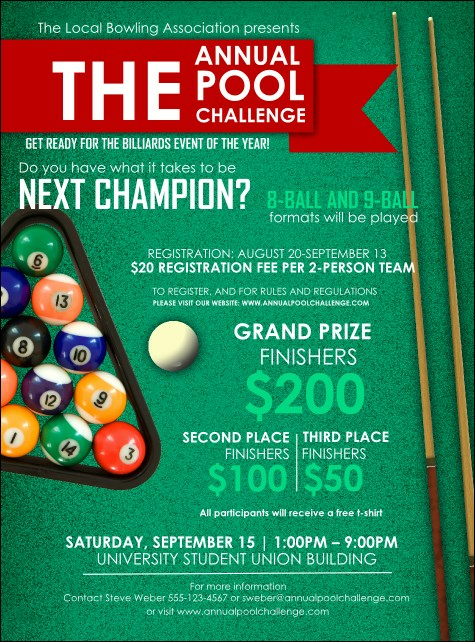 Bank on event success when you promote your tournament with the Pool Flyer. This flyer template features a rich green felt-like background with white and light green text. A rack of balls sits to the left, with two cues on the right. Pair with a Matching Event Kit for coordinating tickets, posters and invitations.